Texas Outside has lots of things for you to see and do, so this page is dedicated to fun activities and things to do for kids. Our children have enjoyed a lot of these adventures like kids day or summer camps, maizes, bike trails, museums, water parks, amusment rides, minature golf, bumper cars, kids museums, or just a day in the park grilling dogs, tossing balls, or fishing. Below are our recommendations on some things to do with your kids in Texas - all are great family activities. Everybody loves Shamu at Sea World and your kids will also enjoy the ski show, amusement park and kids rides, waterpark, and more at Sea World in San Antonio. What kid doesn't love a roller coaster, cotton candy, or other fun and thrilling rides. Six Flags in Arlington and San Antonio are the leaders in the amusement/theme parks in Texas. Both have the fast and scary rides, rides for tots to teens, and family rides. Most of the really big and thrilling rides require kids be at least 42 inches. Read About Texas Outside's Fun Day At SeaWorld San Antonio. Kids will love spending a day learning and observing a wide variety of fish from eels to huge sharks. Plus they'll really enjoy the various exhibits, feeding of the fish, fun and educations shows, and the petting tanks. Texas has over 125 lakes spread throughout the Lone Star State so there is no excuse for not taking the kids out to enjoy all the water activities. Rent a waverunner and give them a thrilling ride or rent a boat and go fishing, cruising, or pull them on the tube. Watch the smile on their face as they land a fish - go bank fishing or call a fishing guide who will get them hooked on fishing and help them land a big one. Rent a cabin and spend a weekend on the lake swimming, fishing, and enjoying the outdoors. Or rent or charter a sailboat and let them master the fun of learning how to sail. Texas is riddled with thousands of caves. There are show caves that one can visit. If you would like to try something off the regular cave tours the show caves are starting to open up special tours that take you crawling and climbing into different areas of the caves. Get a REAL tree on a REAL farm at Devine Acres! They have over 15,000 Christmas trees growing in their fields and they offer three varieties to choose from. Devine Acres provide the hayride, saws to cut the tree, and they even process your tree for you. Shop around for the perfect ornament to add to your collection in the Back Porch Country Store while sipping hot coco! All you need to bring is your Christmas spirit! Seasonal activity, opens the Friday after Thanksgiving. Visit their website for more information. Bring your camera and start a new family tradition that you'll look forward to all year! Remember the good 'ole days of sitting with your friends or boy/girl friend eating popcorn and sippin' Dr Pepper at a nearby drive-in theater? Then why not share some of those memories and good times with your kids - they will love it! Once in their lifetime, you need to take the kids to a dude ranch and let them experience some of that cowboy life. 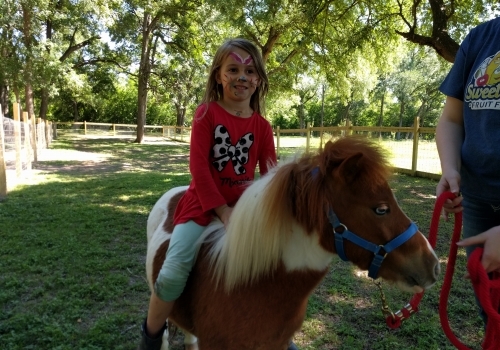 They can ride horses, enjoy a hayride, sing along at a campfire, rope a steer, wear cowboy hats and fit right in, feast at a cowboy cookout, roast s'moores, and lots more. They will remember it forever. You will find games of skill, elephant rides, wall climbing, swings, and plenty of other fun things for ages 4 to 90 and over 16 stages with 200 daily performances ranging from belly dancing and bagpipes to magicians and mud pit wrestling. You don't want to miss the huge Roman coliseum with jousting and more events. Sweet Eats Fruit Farm started in 2013 when they tired of poor fruit in the grocery store. They were just going to start with stonefruit (peaches, nectarines, plums, cherries), but a second property became available that would be perfect for blueberries. During the winter of 2014, they planted 32,000 blueberry bushes and 5,500 fruit trees. Whether you're here to pick fruit, enjoy live music, attend a special event, or just have a great time with your family; the farm has plenty to offer to keep you entertained. Most families typically spend 3-5 hours here. See the activities section for more information. Interested in having a birthday party at the farm? They can custom tailor your experience to fit your needs and budget. Need someplace the kids can go for an hour, a day or even a week to get to know, ride, and enjoy some horses? The kids will love to groom the horses, go for a trail ride, or just be around these friendly beautiful animals. Click on the link to find places where they can have a memorable and fun time with horses. If you're looking for something fun and challenging for the kids, then you need to check out Texas Mazes. Kids of all ages will love trying to figure out how to get out of some of these diverse mazes. Most of the mazes have other activities and fun things to do like hayrides, train rides, mini mazes, pumpkin patches, and more, plus some serve food or snacks. There is no limit to what your children can do and learn given the opportunity. From hands on activities such as driving a kid sized front end loader or working as a pilot to exploring the wonders of nature. Here is a link to what we consider some of the Best Museums in Texas. Meet the baby animals from a kangaroos to pigs, create a scarecrow, paint a pumpkin, ride a hayride or train or just pick out that perfect pumpkin for carving or eating. Whatever your day in the pumpkin patch brings it will be great entertainment for the entire family and an opportunity for awesome fall pictures. 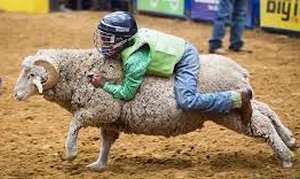 Your kids, and you, will love attending a local rodeo. Put on their boots and cowboy hats and head out to watch professional cowboys ride bulls, cowgirls race around barrels and all of the other rodeo events. Plus the kids will love the carnival, live music, and lots of kids activities in and outside the arena! What is better than fun, sun and adventure for kids while building character and values. Children learn responsibility and cooperation while gaining independence and self esteem. The friendships built during their stay at camp will last a lifetime. The choices of camps are endless depending on your child's interests whether it be sports, academic, arts, religion or just plain adventure. We can recommend Waldemar camp for girls and Camp Balcone Springs i n Marble Falls. Sign up today! The magic of the train comes to life while children listen to special holiday classics as the train makes its way through the beautiful countryside land- scape. You won't soon forget the joy on children's faces when the train arrives at the destination whether it be The Great Pumpkin Patch or the North Pole or some other exciting stop. It just doesn't get much better than a fun filled vacation with the kids and family. And Texas offers plenty of options that everyone will enjoy - from upscale resorts loaded with fun amenities to camping and roasting marshmellows around the campfire. Get the kids involved in biking, hiking, golfing, boating, kayaking, and other fun outdoor activities. Here is our list of fun kids and family vacations in Texas. With multiple locations in Texas, Schlitterbaun Water- parks are the ultimate water parks and set the standards for other waterparks. You'll find miles of tube chutes, endless rivers, uphill water coasters, daring speed slides, waves for surfing, splashing, relaxing, and kid-friendly water play-grounds. Read about our fun day at Schlitterbahn Galveston. If you're in or near San Antonio, then you need to visit Aquatica that has fun tubes and slides, a wave and other pools, lazy river, and lots more fun stuff for all ages. Read about our Fun Day at Aquatica. An exciting safari adventure filled with exotic animals, wildlife ranches have remained a favorite location to introduce families to the beauty of nature and an understanding of protecting wildlife. For a thrilling adventure for kids over 10, call one of thes zip line companys and make a reservation. Kids will love the challenge, thrill, and excitment of zipping from trees or platforms up to 100 feet off the ground and up to 35 miles per hour. They will also experience rope swings and bridges, some beautiuful scenery, and a real confidence builder. There are several zip lines companies in Texas and each offers something a little different and unique with multiple zip lines of various lengths and heights. It doesn't get much better than taking the kids to a zoo and teaching them all about the animals. Get up close with lions, tigers, alligators, elephants, birds, and lot more - everybody loves the zoo. Most major Texas cities have a zoo. Texas Outside loves the Ft Worth, Waco, Tyler, and Houston zoos - lots of animals, great settings, food, and more. Check out this website for some great ideas for outdoor and indoor craft activities and at the same time learn a little history of Texas, safety outdoors, animals & flower facts and much more. Ways to make personal contact with living things by touch, feel, and smell to develop a relationship with the outdoors.